Compromising dining excellence, The Champagne Restaurant brings you the finest tasted from around the world in an elegant and modern setting. Come and indulge in an extensive variety of international menu selection from A La Carte to Set Menu (West­ern & Khmer Cuisine) and Buffet Setting (On request). This fine Food & Beverage outlet provides a sophisticated setting with delicious blend of traditional Asian and Western food. 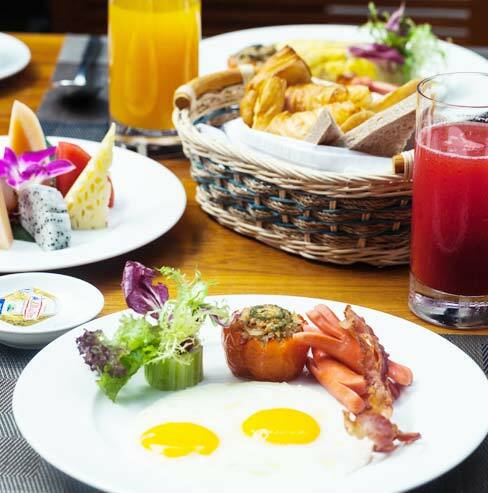 Breakfast is served as a buffet with a big selection of hot meals that change daily, a salad bar, 3 fruit options and an egg and noodle soup stations. Select your breakfast from the buffet styled options or if you like something not available, order it and the chef will make it specially for you. At the white lounge we serve your favorite drink, cocktails, and blended drinks that give you such memorable experiences. If you like to have a nightcap after dinner then head into the White Lounge and have a cocktail, beer or glass of wine. Sit and relax or mingle with other guests. Every night from 6 p.m the White Lounge plays a feature film on their big screen. So settle in, get comfortable, and watch a new release film. Come to enjoy and relax at an incomparable fully service lounge. Whether meeting business partners or relax after your drainy tour, come enjoy a taste of freshly brewed coffee with a selection of home-made bakeries, pastries and ice cream. The Palm Coffee House also serves quiet lunch and dinner with local & imported beers to truly compliment your meal. 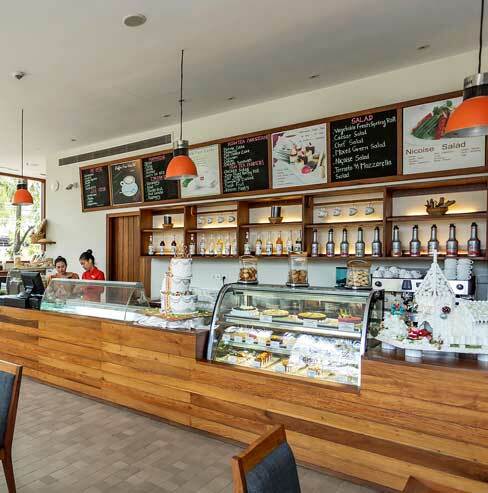 The Palm Cafe is situated in the front of the hotel and provides coffees, cakes, ice creams and also light meals. Make sure you try the homemade ice cream and the coffee is quite good for Cambodian standards. 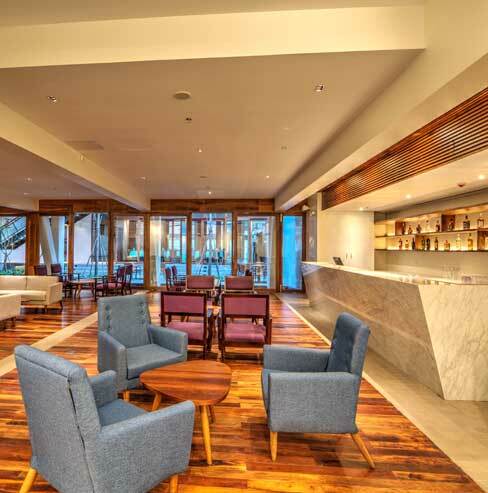 Located on the first floor, our blue Pool Bar serves cocktail, health drink or snack whilst relaxing around the pool. 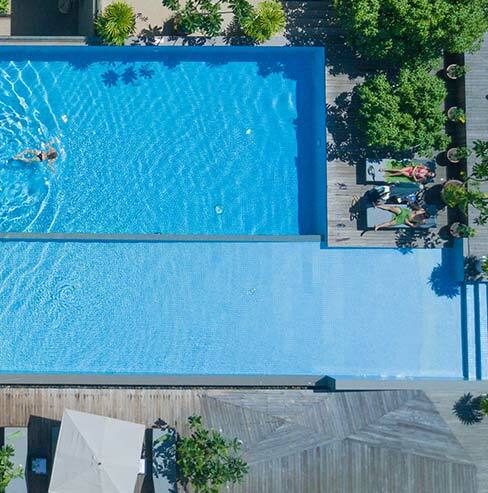 You can order anything from home-style French fries to Japanese pork Tonkatsu and enjoy your snack in a lounger, after a refreshing dip in the pool.